This recipe has been in my list for quite sometime and finally I found time to compile it. 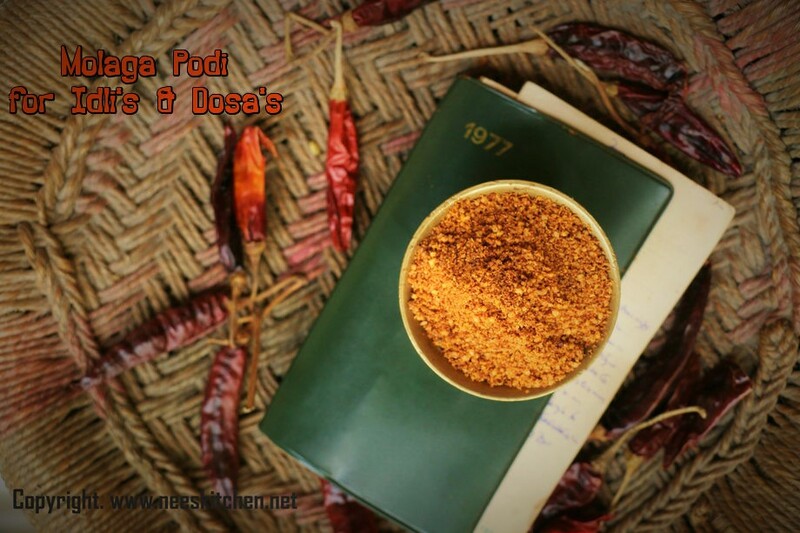 Idly & Dosa molaga podi is one recipe which I will never miss to prepare when I come to my mom’s place. 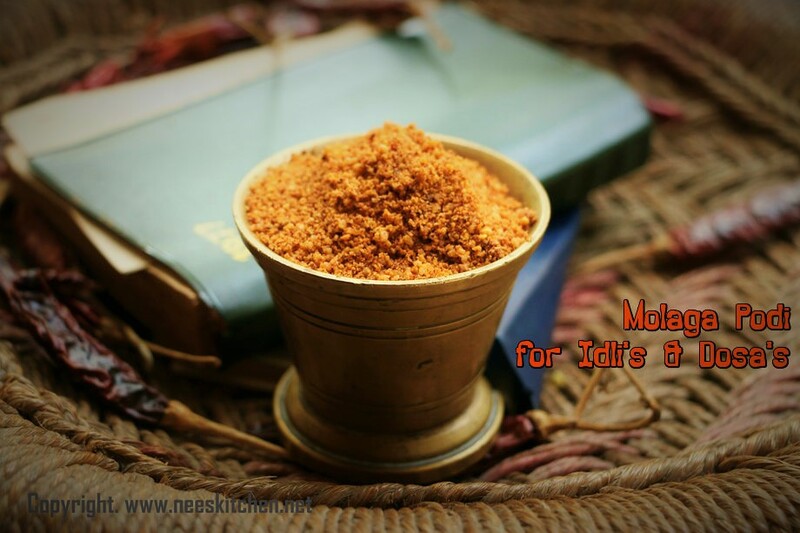 There are various ways to prepare the molaga podi, however this proportion mentioned in this post is best liked in my home. I generally prepare at least 1 kg but for this post purposes I reduced to show 250 gms. This Molaga Podi is a mix of Chickpeas,Urad dhal, Sesame seeds & a dash of jaggery. The best way consume is to mix with gingelly oil and spread it over your idly's or dosa's and I bet you would not stop with one. 1. Cut the chili outer stem. 2. Take a heavy bottom vessel and start dry roasting the individual ingredients starting with any order. We started with sesame seeds. Since the quantity is huge we roasted the seeds in batches. Once roasted transfer it to a bigger plate. 3. Add ½ tsp oil and roast Bengal gram dhal and transfer. Mix all the ingredients in the plate once you transfer and follow the same process for the rest of ingredients. 4. Add ½ tsp oil and roast urad dhal. 5. Add ½ tsp oil and roast hing and transfer. 6. Use the same oil used for hing and roast tamarind. 7. Dry roast dry red chili along with salt. Do not add this with the rest of the mixture. 8. Grate jaggery and keep ready. 9. Allow the ingredients to cool down completely. Grind in a mixie in the following order only. 10. 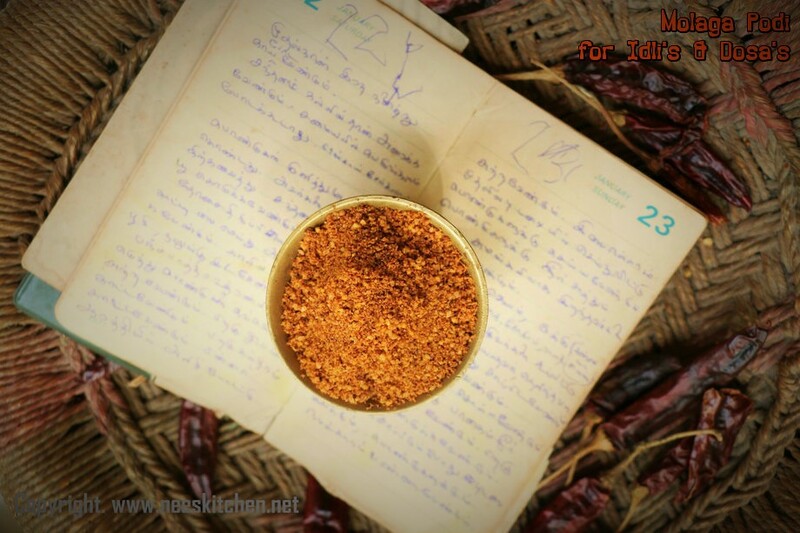 Dry Chili,Salt & Jaggery should be ground first into a course powder. 11. 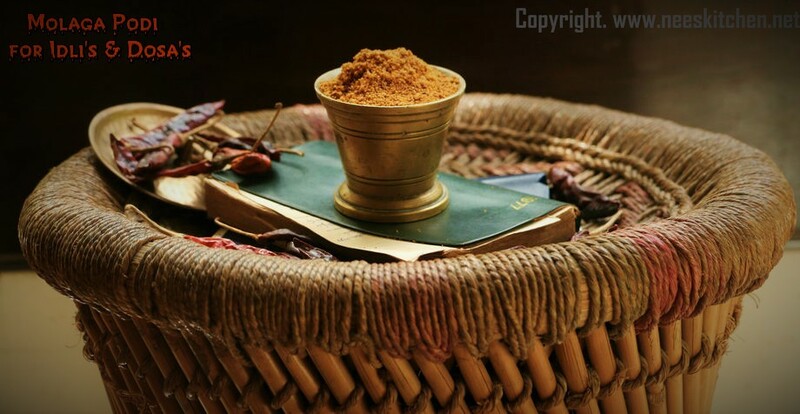 Add the rest of the mixture along with the chili – jaggery mix and grind them into a course powder. 12. Transfer them into a big plate and mix it nicely with a dry spoon. This step should not be ignored as the mixie will not mix evenly. You may see the difference in color from previous step. 13. Transfer to a dry container. It is a must to follow the order of grinding in mixie else the chili will not grind properly. Dry roasting chili with salt will suppress the heavy chili smoking smell though there is no compromise in the taste.